Christmas is weeks ahead and most us thinks that Christmas ham is the star of the celebration but some who can afford to buy a whole lechon still thinks that it is the most important part of celebrating Christmas. Still, not everyone can afford to buy ham or it is the last thing on their list. 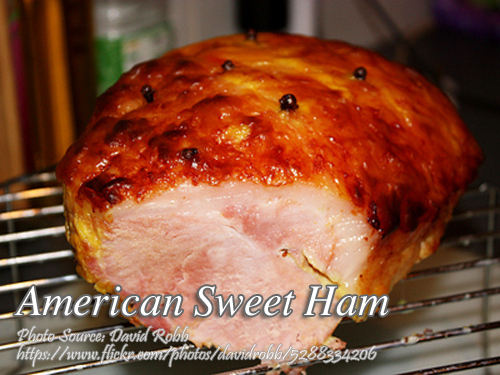 But for those who have the patience of making your own ham, a home made ham will save you money and if you are a business minded person, you can also sell it to your friends or neighbors at a cheaper price. To cure the ham; Mix all ingredients except pork until sugar and ascorbic acid are totally dissolved. Put in a big bowl. Soak whole pork in this solution and prick all over with a fork or ice pick. You may also use a syringe to inject solution into the thick meat. Cover bowl with a clean cheese cloth or foil. Store in refrigerator. For 3 days, turn and prick once a day. On the 4th day up to the 18th day, turn once a day (no pricking needed). On the 19th day, wash 3 times in clear water. To see the rest of the recipe with the exact measurement of ingredients, continue reading. Mix all ingredients except pork until sugar and ascorbic acid are totally dissolved. Put in a big bowl. Soak whole pork in this solution and prick all over with a fork or ice pick. You may also use a syringe to inject solution into the thick meat. Cover bowl with a clean cheese cloth or foil. Store in refrigerator. For 3 days, turn and prick once a day. On the 4th day up to the 18th day, turn once a day (no pricking needed). After cooking the meat in this mixture (see ingredients), drain. Remove skin. Sprinkle brown sugar generously on surface, then, press heated kitchen turner or spatula to caramelized the sugar, repeating several times till meat becomes golden brown. Or you may bake ham in an oven in 350 °F heat until golden brown. You can buy salitre or saltpepper in bakery supplies store. I can’t think of any substitute. You can find it in bakery supplies store in the wet market.